T-shirts with printed graphics are frequently a vehicle for promoting ideas, interests, and self-labeling. What happens when artists take on the T-Shirt as a way to explore the unique features of the Philadelphia cultural and physical landscape? How do we make use of the shirt as a frame for our favorite places, people, or historical moments? 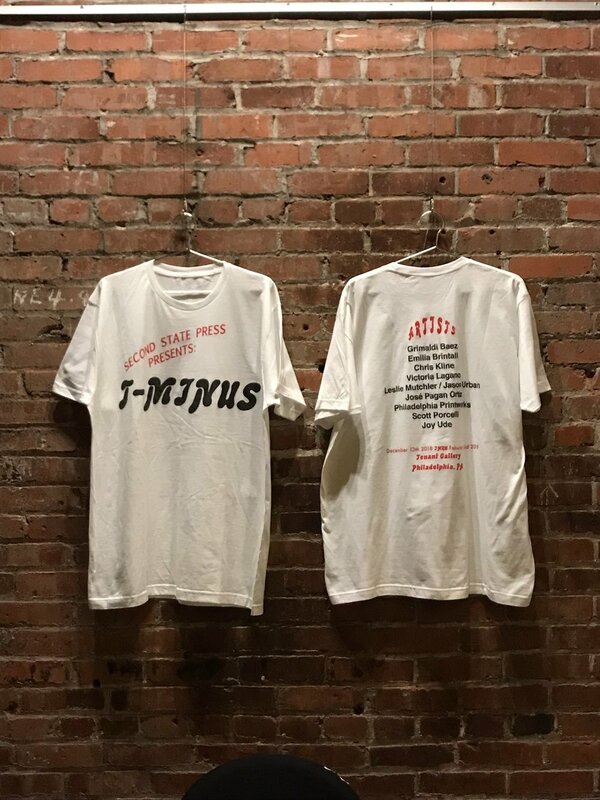 Second State Press invited members to respond to the idea of the T-shirt as a platform for their work. It could be the re-imagining of troupes such as the tourist souvenir shirt, the fan or merch T, or shirts from real/imaginary groups, clubs, or organizations. We have designed this show as a way to highlight SSP’s brand new multi-arm t-shirt press and dryer. The show itself will take place on the first floor of the Crane Arts building in the Tenant Gallery. This show will open Thursday, December 13th in tandem with the SSP Annual Silent Auction + Party, and will be on view through February 2nd, 2019.